In this blog’s All Are Welcome series, we try to assist parishes and faith communities that want to do outreach to LGBT people and their families. Often in that series, we highlight some steps parishes can take to make that welcome known, and sometimes we highlight the gifts that LGBT people bring to a parish. This blog post fits into a whole different category. It is the story of how LGBT people have been part of helping a parish in New York City to thrive in life and attendance, thus helping to save it from being closed or merged in the recent archdiocesan cutbacks there. The Catholic archdiocese of New York has recently made some tough decisions about consolidating churches throughout the five boroughs, due to lack of resources, declining Mass attendance and difficulty maintaining older facilities. 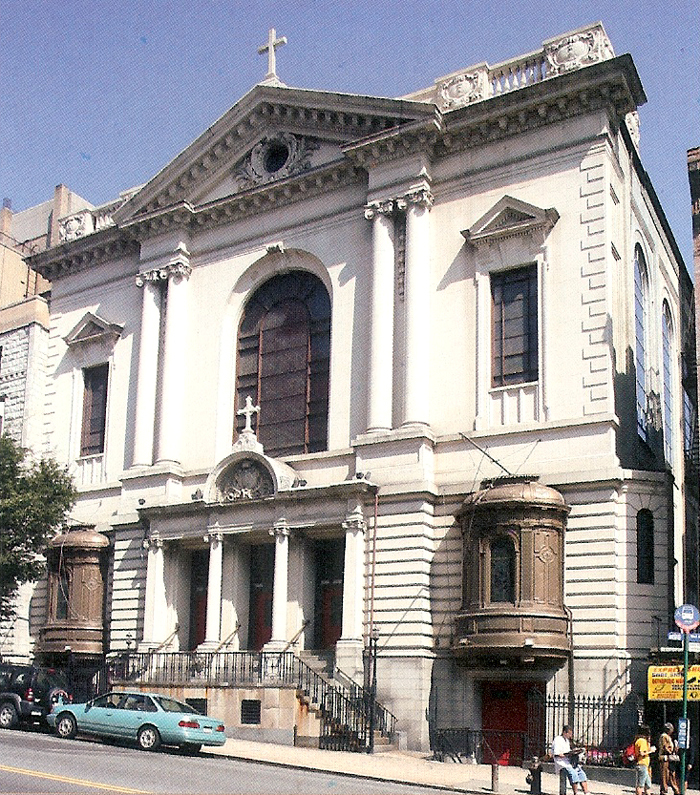 But despite the desolate picture presented to some parishes, St. Francis de Sales Catholic Church on E. 96th St. is thriving and growing, bringing in younger parishioners and catering to the changing populations of Yorkville and East Harlem. Pastor Philip Kelly speaks about his congregation with a touch of awe for their enthusiasm and willingness to get involved in the parish community, and he credits them with helping to grow the parish from a few hundred weekly Mass attendees to about 600 today. 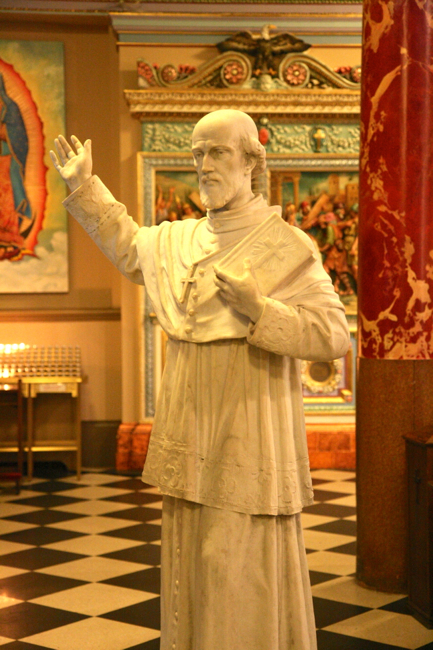 St. Francis de Sales statue in parish. The St. Francis de Sales story has another lesson, too. It shows that LGBT people want to be part of their church and will respond positively to an invitation and signs of authentic concern for them. And the entire parish can benefit from their gifts and presence. In many parishes across the nation, participation in parish life by LGBT people has not only been a spiritual boon, but has also helped to re-animate the entire community and often encouraging welcome to other diverse groups. Pastoral leaders should consider not only the Gospel call to welcome all, but also take note of the benefits that such welcome could have for the entire faith community. Does your Roman Catholic parish welcome LGBT people? How has your community benefited by their presence, in practical and spiritual ways. Contribute your answers to the “Comments” section of this post. To learn more about gay-friendly parishes, click here to read all the posts in our All Are Welcome series or click the “All Are Welcome” button in the “Categories” box on the right-hand side of this page. You can also visit New Ways Ministry’s list of gay-friendly parishes and faith communities by clicking here. This makes me happy and gives me hope. I wish Salt Lake City had a gay friendly parish. It is good that there are still some gay-friendly parishes around. Most of the Roman Catholic Churches that supported the LGBT in my city have been closed, or merged and turned their backs on the community. My hope is that with Pope Francis, the Roman Catholics in America will reclaim their progressive voice – and it’s always good that there are still some there to advocate for change.